Rid All compost will be purchased and split among gardeners interested. Stay tuned. Will be ordered or donated and picked up and delivered to the garden for graders to use in their community garden plots. Each gardener is limited to 1-2 wheel barrows full so that everyone gets some. More will be delivered to the garden this year – in the bin just outside the garden. 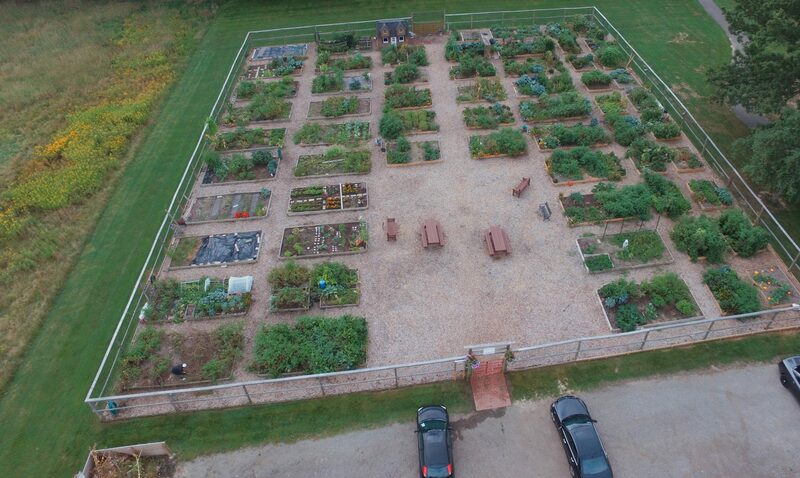 The fence is being repaired, and two new raised beds added this year to accommodate more gardeners. Please remember to pull weeds in your plot (before they bolt) and also from the path around your beds. Cuyahoga Community College holds a garden sale every year in their green house. Brockville Ohio Extension holds a plant sale. We will post information and dates for upcoming sales that we are aware of. A gardener shared this recipe for insect control: 2 TBSP garlic oil to 1 quart of water. Keep it in the refrigerator and use it to spray on plants to deter insect pests naturally. Need Garden Help while on vacation or other reason? Please contact Arian Smith or anyone on the garden committees, because we know of some young people who are available to volunteer. They can help weed or water when you are unable to visit the garden. Please let us know in advance.